The Jeld Wen Premium Aluminum window also known as the A-500 Series, is the upgraded aluminum window to the Jeld Wen A-200 aluminum window. The A-500 is available in several styles that include an awning, casement, fixed window, single hung, and a horizontal slider. Similarly to the A200, the A500 Premium is available in the south west region of the United States that includes the southern half of California, the southern tip of Nevada, Arizona, New Mexico and in certain areas in West Texas. The reason for this regional availability is due to the fact that aluminum windows are ideal for very hot climates, however they do not provide the sort of energy efficiency numbers the most homeowners are looking for. The Jeld Wen Premium Aluminum window can be ordered in 15 different exterior colors, as well as two anodized color selections. It can be ordered in a new construction or as a replacement window. My own opinion is that there are probably better aluminum window manufacturers out there, including Milgard and Don Young in Dallas. I will say that gelled one makes excellent doors and their premium vinyl window is a decent mid angel option and their AuraLast wood windows are a decent builder grade wood window. Consumers can expect to pay roughly $5 dollars more per square foot for the Premium Aluminum over the Jeld Wen builders A200 model. The Jeld Wen Premium Aluminum A-500 casement with a low E glass, no grids and argon fills will deliver a U factor of .58, an SHGC of .24 and a VT of .37. These numbers are pretty poor when compared to any sort of vinyl window or fiberglass model. 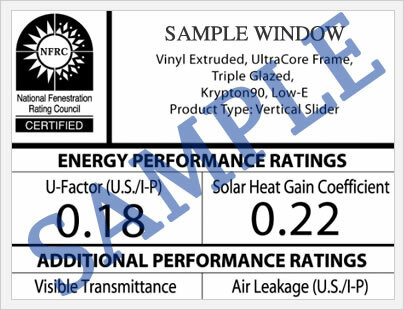 This performance data was generated from the NFRC.org website, which compares thousands of different windows and provides objective performance data supplied by the window manufacturers themselves. The Jeld Wen Premium Aluminum window comes with the same limited 10 year warranty as is available on their builders aluminum A-200 model. 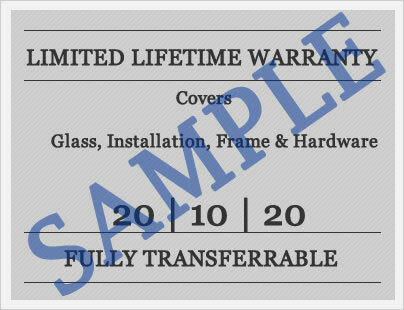 This 10 year warranty applies to the frame, sill and all additional components and hardware. All in all, not the most impressive window warranty around. The warranty period on the A-500 window is significantly less then either Jeld Wen wood windows or their vinyl windows, the latter of which typically carry a limited lifetime warranty. Do you have a Jeld Wen A-500 window review to provide to other consumers who may be interested in doing more research on this aluminum window? Submit your reviews here and we will post them as soon as we receive them. If you have any questions on this aluminum window model or any other replacement and new construction window questions, our site editors, Jim and John, are always more than happy to answer any and all of your questions for your upcoming project.